Healthcare-associated urinary tract infections (HAUTIs) are the most frequent healthcare-associated infections in general hospitals. 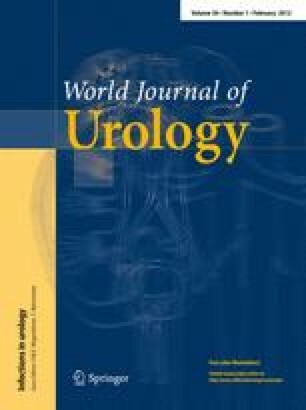 They are almost exclusively complicated UTIs, although complicating factors are very heterogenous. HAUTIs are mainly catheter associated. Most of them are asymptomatic and do not need antimicrobial therapy. However, cross-contamination and cross-infection may contribute to distribution of resistant uropathogens. The bacterial spectrum of HAUTI is broad, and antibiotic resistance is common. The authors reviewed the literature from 2000 to 2010 to determine the epidemiology, prevention and best treatment strategies for HAUTI. The recommendations were summarized by determining the level of evidence and grading each recommendation. The treatment for HAUTI encompasses treatment for complicating factors as well as antimicrobial chemotherapy. At least in serious UTI, adequate initial antibiotic therapy results in lower mortality. Therefore, the initial antibiotic regimen must provide sufficient antibiotic coverage. This can only be achieved if the local or regional bacterial spectrum and antibiotic resistance patterns of uropathogens are followed continuously. Provisional microbiological findings, such as reports on Gram-stain or certain biochemical results, can lead to early stratification of pathogens and allow a more tailored empiric antibiotic therapy. Antibiotic therapy of HAUTI has to consider therapeutic success in the individual patient and prevention of emergence of antibiotic-resistant mutants. For both aspects, adequate drug selection and dosing are paramount. Antibiotic treatment for HAUTI should follow prudent antibiotic use to prevent emergence of antibiotic resistance.